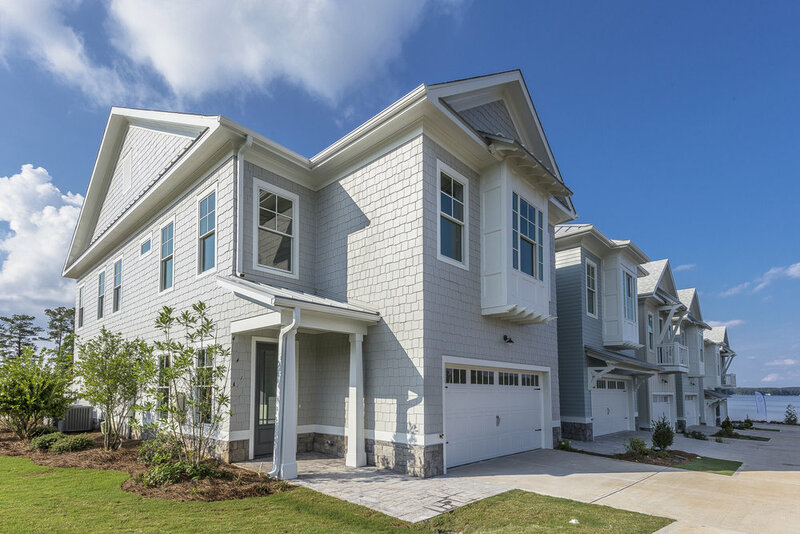 We have completed, townhomes ready for you to live the Lake Oconee lifestyle! 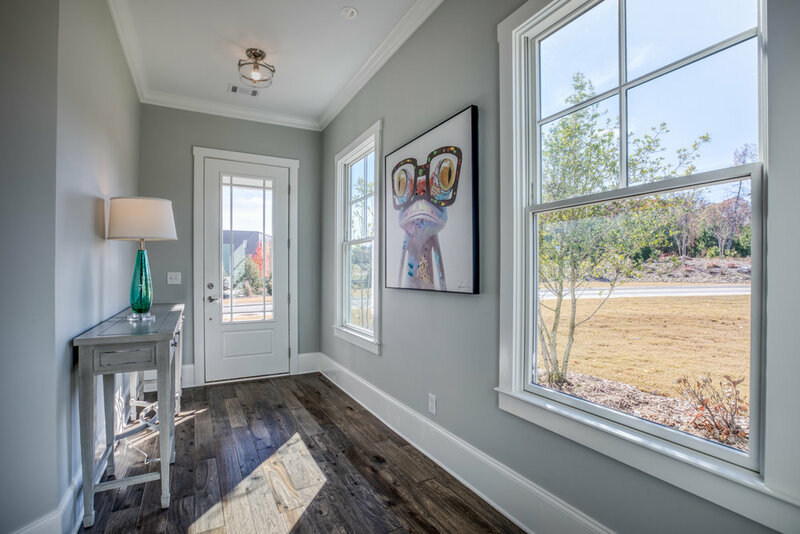 Come out and tour our decorated model home. For more information, call us at 706.690.3622 or complete the contact form here. Exterior Home - DECORATED MODEL HOME! Our decorated Show Home! 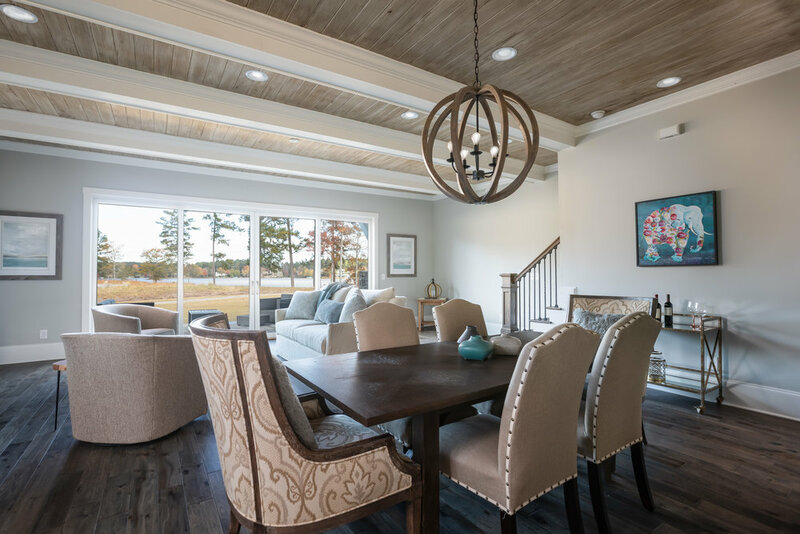 This new construction, 3 bedroom, 3 1/2 bath attached cottage offers shake exterior, big water views, high end finishes, large light filled rooms at a very affordable price for a lakefront home. The end location of this townhome allows an abundance of natural light to fill the inside of this home. 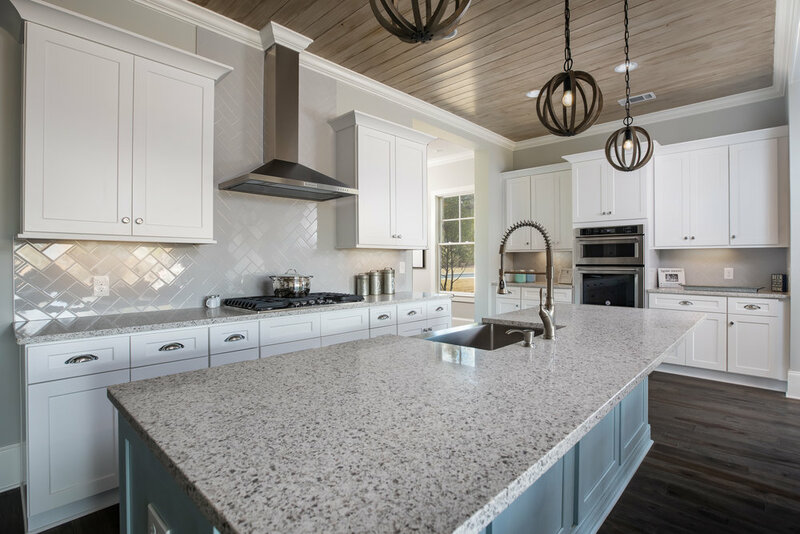 Every detail you can imagine: White kitchen cabinets with a custom painted island reflect the sparkling waters of Lake Oconee; several workstations, quartz counter tops, large pantry and farmhouse sink. 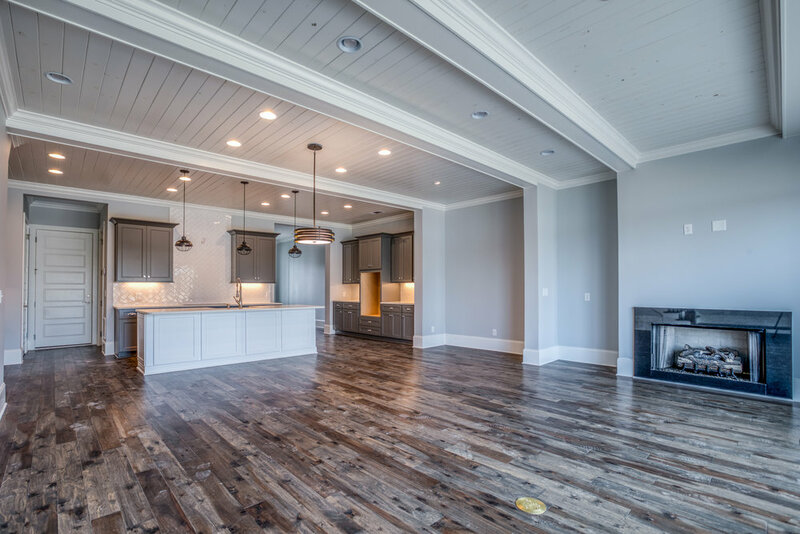 Tongue and groove ceilings with impressive wood beams and a wall of windows brings the outside into the open floor plan. No feature is overlooked in the master suite with a pleasing grey and white color combination and an oversize step less double shower and large double vanity with rectangular sinks. Move in ready! 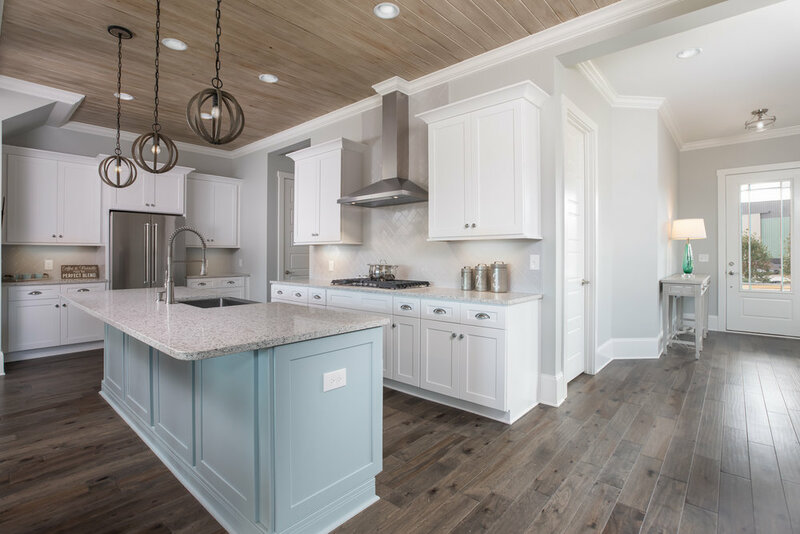 This townhome encompasses the lake lifestyle with driftwood, hand scraped floors and a clean grey and white color palette. 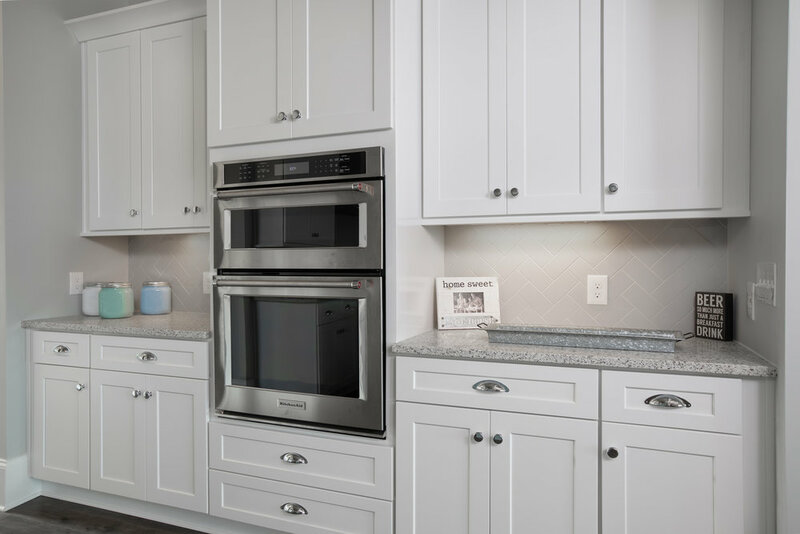 The beautifully appointed kitchen features rich dark grey cabinetry with white and silver quartz counter tops, several workstations, large pantry, farmhouse sink and stainless Kitchen-Aid appliances. 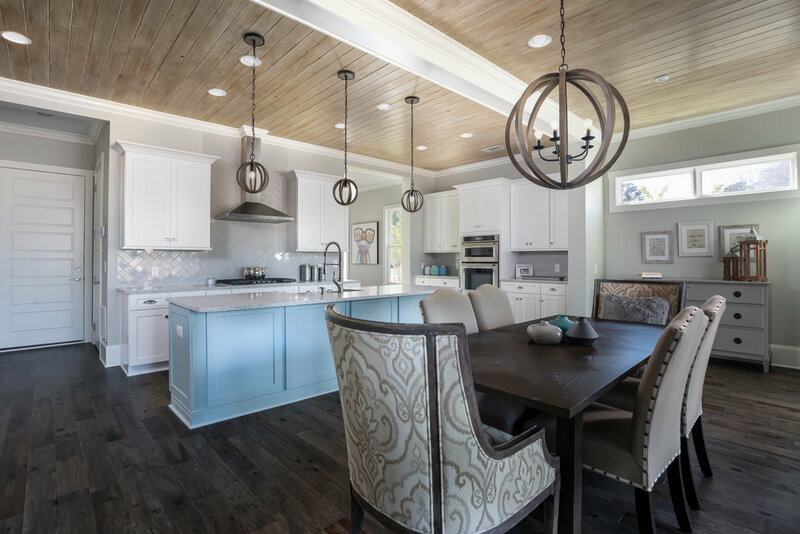 The warm rich hardwood floors, wood and iron orb lighting, and mocha subway tile back splash and custom painted island were specially selected by one of Lake Oconee's top designers. 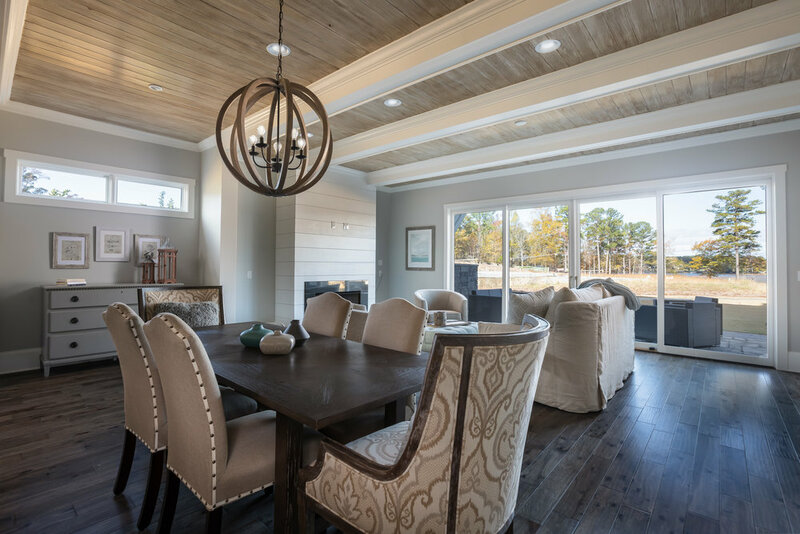 This is a timeless design the homeowner will enjoy for years to come. Brilliant white baths with peppercorn quartz countertops reinforces the design. 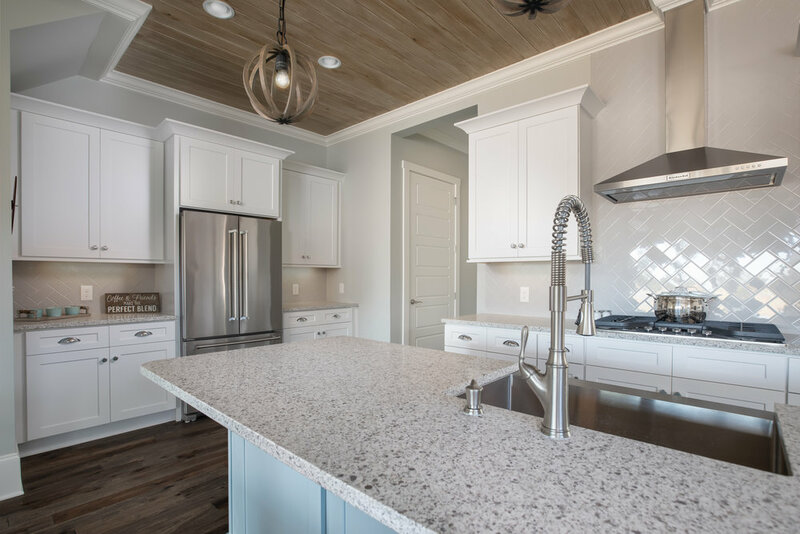 Every detail you can imagine: Beautifully appointed kitchens. 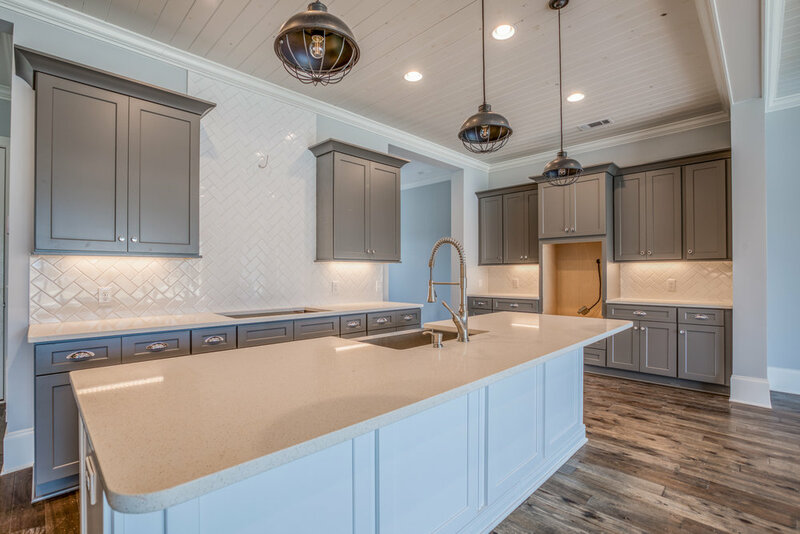 The custom painted island has a tint of blue reflecting the waters of Lake Oconee. 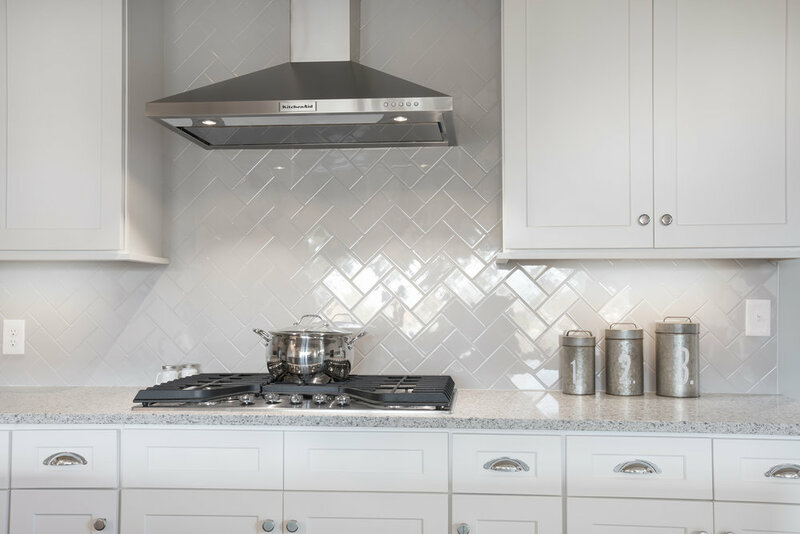 Other features include quartz counter tops with herringbone subway tile, large pantry and farmhouse sink. The master ensuite bath features grey cabinets and clean lines that showcase a stand alone tub with lake views , oversize shower and double vanity. Information deemed accurate but not warranted. All information subject to change without notice. ©MMXVII All Rights Reserved. An Equal Opportunity Company. Equal Housing Opportunity.